What are you doing with your parked savings? 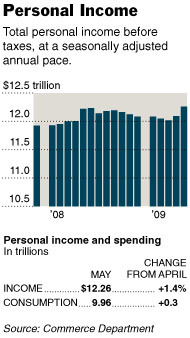 Government reports have us substantially increasing our savings rate right now. Is that true? Probably. I don’t know about you but when parts of our financial system began collapsing back in Oct 08, I started pulling back and we are into this for what, 8 or 9 months now? So the question is- Where do you have your money parked? I’m talking about money set aside as savings. A financial advis0r is going to recommend diversifying your investment portfolio. 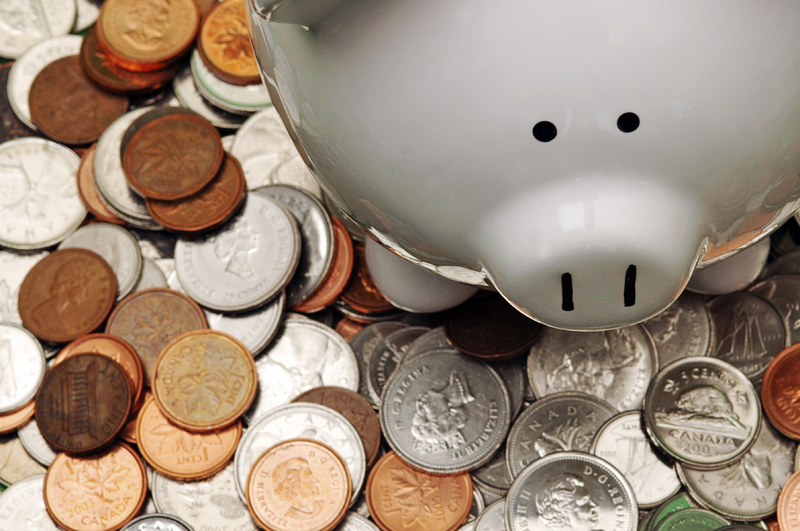 Depending on your age and cash needs, some money is put in moderate to high risk investments, while other portions are more conservative investments. The stock market is out for most folks because of its volatility right now, so what about CD’s (certificates of deposit)? Have you checked the rates lately? They are terrible. I’d only put short-term money in a CD right now. Let me ask, have you thought about stocking a portion of your savings into knives? No, I’m not talking about running out and buying $5000 of Spyderco or Benchmade over the counter knives. Instead, I’m talking about doing your homework and seeking out objective opinions from knowledgeable collectors and dealers as to which knives will hold up in tough times and likely increase over time. I’m not talking about a quick flip either. Many folks caution us against buying knives as investments. I’ve read those opinions since I started collecting. Sure there is an element of risk associated with buying knives when seeking a return on those dollars, but I didn’t say bet your farm. Another reason knives need looked at really hard right now is the increased likelihood that over the next year high quality knives will come into circulation as collectors reallocate their collections or sell-off knives that are outside the heart of their collection. While my suggestion here is subject to pot shots, putting a portion of your mid-to-long term money in collectible knives just makes sense to me. If anyone is able to have a feel for which knives, makers or patterns “ought” to be the right choice- it is us. It’s not like someone told you to buy ink pens or glass bottles. After all, we are knife collectors. 20 Investments: Collectibles; Investment Grade Blades (Part 1)- Tactical diversity in your art portfolio. This is the tale of two knife sales. In the Introduction, I shared with you rarely do we have a true comparison of two virtually identical knife sales to provide us with the buyers price differentiation between knife grade conditions. And that I bought a knife to put up on eBay to see how it would compare to a better quality one that was already up for auction on the same site. Then we saw in Part I- the challenges we collectors face trying to value knives and why this test would be so interesting. 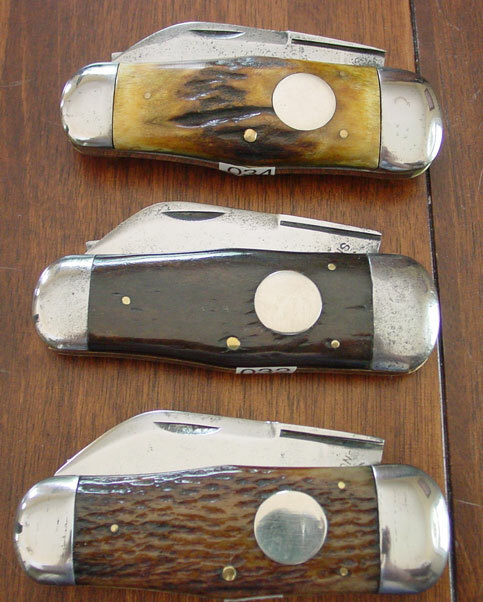 Part II- established why past sales are the best gauge of value even though it is so rare to have identical knives being sold at auction at the same time. These auctions will also provide us a snap-shot of value in the current economic conditions and then to be able to compare them to same knife sales of the last few years. Now in the conclusion of my experiment, I want you to see the knives and the auctions results. Then we’ll end with my observations. 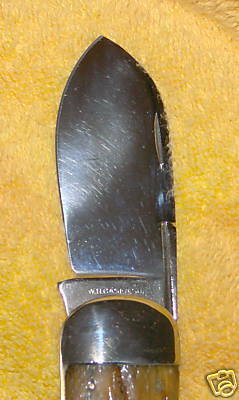 These knives- two W. R. Case Jumbo Swellcenter Elephant Toenails (sunfish) offered me for the first time since I started knife collecting a real apples-to-apples sales comparison of two identical knives each with a different grade condition and the buyers’ judgment of their price differences. 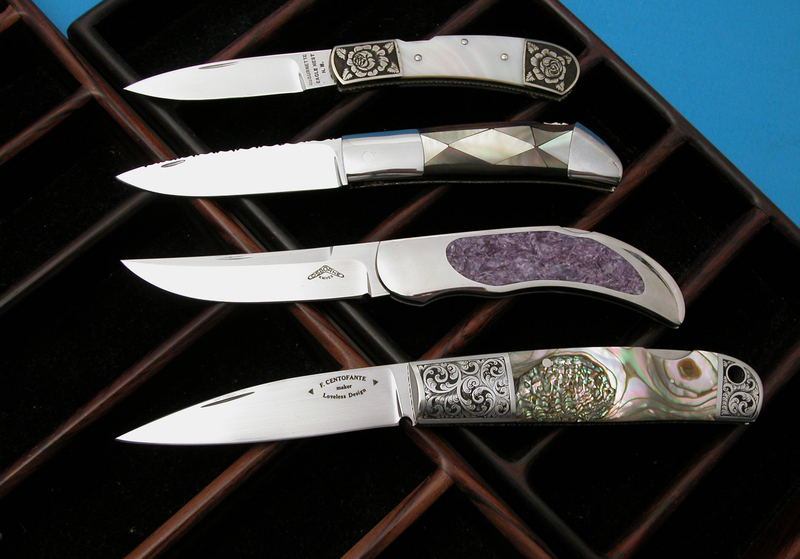 These two knives represent one of the most sought-after styles of the elephant toenail pattern. Veteran knife dealer, Mr. Joe Seale said in an interview I conducted with him in June of 2003, that he usually doesn’t keep a Swellcenter for more than two months- even though this style toenail represents the highest price of the three different styles. In case you have wondered why I chose to run the test on this knife, well, it is my most favorite- that’s why. I have tracked this style toenail closely over the years. This test also allowed me to see what is happening to values as we go through the worst economy since the Great Depression. 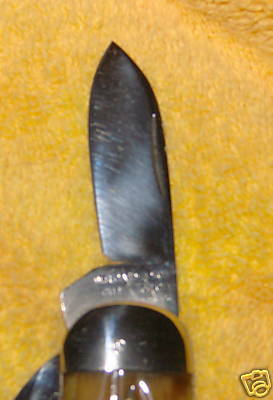 Note: The significant masterblade wear on Knife #2 compared with knife #1 and yet, Knife #1 is about 87-90% full. Knife #1 was cleaned. 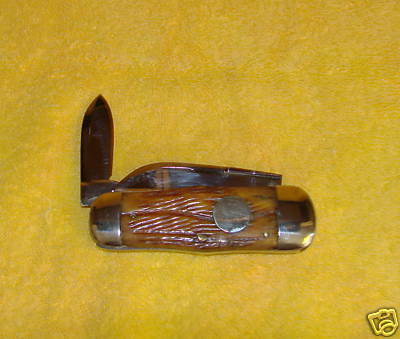 Knife #2 is a real example of a used jumbo (they were hard-core work knives, you know). 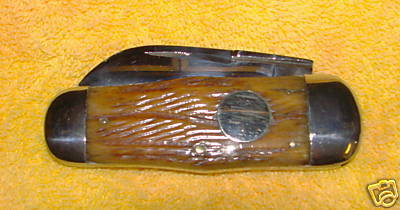 Knife #1-the Excellent condition knife brought $2595. 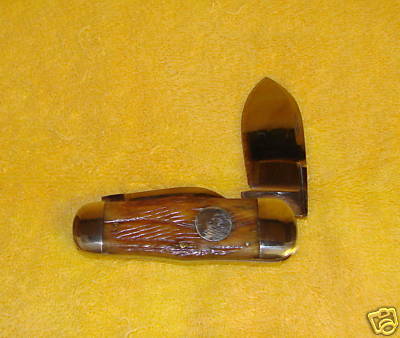 Knife #2- the Very Good condition knife brought $1200. Clearly we find a measurable difference between the conditions of these two knives and their prices/ values. Originally, I thought Knife #1 would go higher, possibly to $3000. My guess on Knife #2 had it bringing $1300 to $1500. If the EX brought two times plus more than the VG one, that the grade condition discount is 50%. I’m not willing to go that far and apply that ratio across the board. Translation- The discount for less than EX is going to be greater for high-end knives, not just in dollars, but as a percentage. I believe this was evident in this test. There is weaker price support for knives in “marginal” collector condition. This may, or may not, be the result of the heavy emphasis on the “Buy Only Mint Condition” mantra I have seen preached and heard ever since I started collecting. But I don’t know. The result of this test provides good news for knife owners and potential sellers. It demonstrates there is good demand and price support in the market right now. FYI- I know of a Near Mint condition W. R. Case Jumbo Swellcenter with the exact same handles and jigging that sold for $4000 in 2004. If you are just joining us, we are looking at an experiment I ran recently with a knife I purchased to auction at the same time an identical knife was also being auctioned. 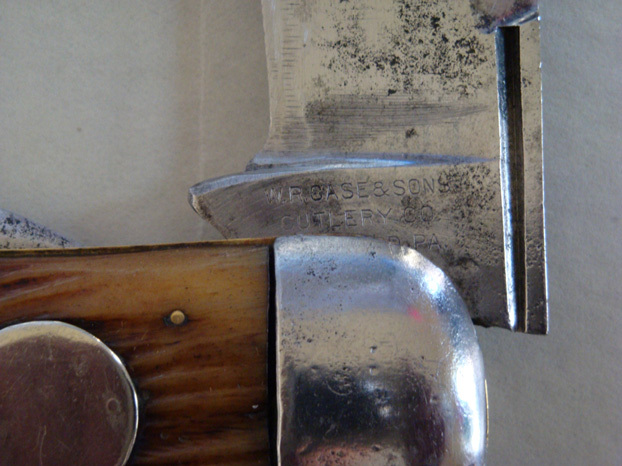 I wanted to gauge the prices for the different grade conditions for this 100 year old knife pattern, as the only difference between the two knives was mine was in Very Good condition and the other Excellent. In Part I of The Tale of Two Knife Sales, we examined the challenges collectors of old knives have when trying to gauge values, especially between the different condition grades. Today, we are bringing it all together and setting the stage for this controlled experiment, in addition to explaining why an auction is the best environment to run this test. 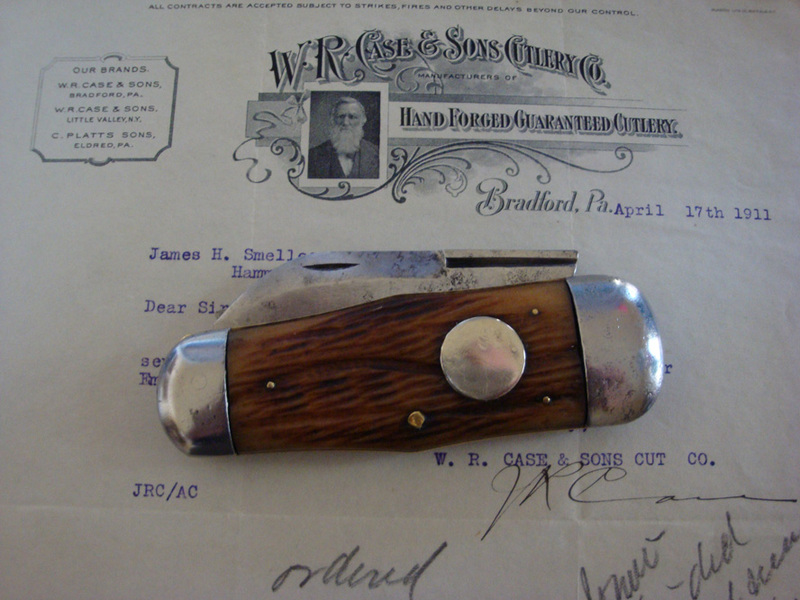 In Part I, we concluded price guides offered us little help in determining values for 100 year old knives and their variations, including condition. The prices are for Mint condition (as in new out of the box) knives only. They are out of date once printed and then, those preparing the guide may not be experts on many of the brands or patterns in the book, unless it is a specific brand guide. So that leaves collectors needing to track actual sales. Sales are the best gauge of value at a given point in time. And yet, obtaining actual sale prices on private transactions (non-auctions), is virtually impossible. 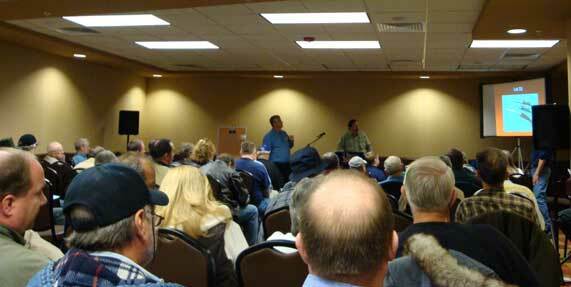 So, auctions tend to be the most readily available price information. We also want to understand the variables affecting a knife’s value. A challenge we face is there aren’t enough of a given pattern sold to include all the different variations, in order to gauge price differences of each variation. For example, the knives are of a different era, different handle material, different brand (but same pattern), condition grades, or something else that would cause the results to be unquantifiable. What about the sales method used? What about the price difference between a knife sold by private negotiation compared with an auction? Being a lifelong fan of auctions, it may surprise you to know I believe you can sometimes realize a higher price via private sale than by auction, like when you have a highly motivated buyer and an unmotivated seller, for example. I realize auctions can achieve a higher price on occasions too, but you need as close to equally motivated bidders to run each other up. Auctions take several factors out that are present in private sales, like the negotiation skill, or lack thereof, of the buyer or seller. Auctions provide for an equal playing field. Furthermore, the seller is not in the picture and it is down to the bidders to compete in order to determine the winner. This finality simply isn’t present in a negotiated sale. Personally, I believe a legitimately run auction will realize true market value, more so than a one-off privately negotiated sale. 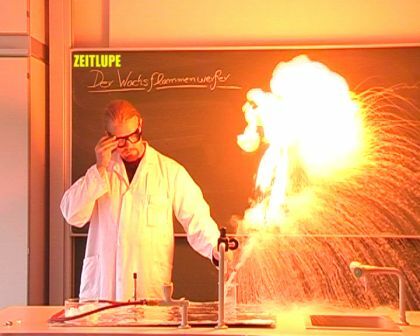 To control this experiment let’s take the two knives- two knives as close to being identical as can be found, their condition being the only difference. Then let’s put them on eBay. The auctions will run at the same time, with one closing a few days before the other. And, yet the bidders will see both knives for most of the time. 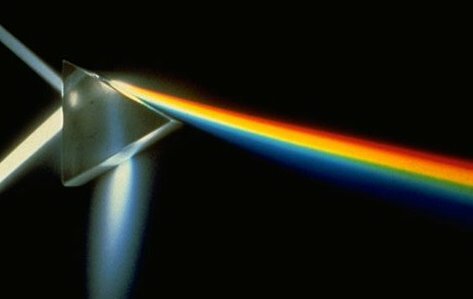 Suffice to say, all the factors are as close to the same as they will ever be. It is very rare to have a situation like this. So, the very day mine came in I listed it. There was still several days left on the better condition knife and it was important for me to get mine listed so buyers could consider and evaluate both, and then factor in the difference. Tomorrow’s edition will provide the results, concluding observations of the experiment and additional photos to demonstrate the differences in their condition. 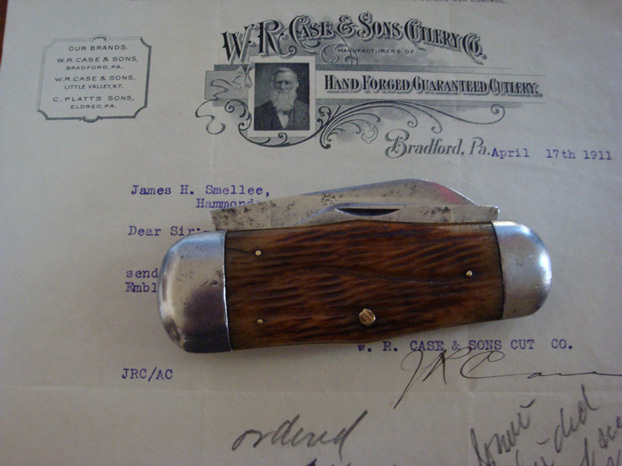 In the Introduction to this post, I discussed running a test with the sale of two identical 100 year old knives. Again, the only difference between the two was their condition- one was in Excellent, and the other, Very Good. Allow me to start off Part I of The Tale of Two Knife Sales with this question- How would you go about determining value when two knives are the same, except for their condition? 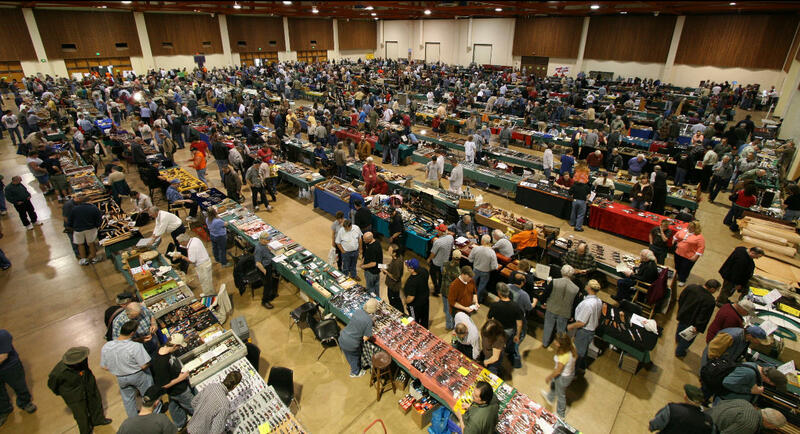 Yeah, we know if a dealer had both knives for sale at a show, he would price them according to their condition. That I understand, but how exactly is the discount for the lower condition knife figured? I know it isn’t an exact science, but even still it is all over the board out there. I’m also a believer you can sell anything at a price if you are willing to wait long enough, but a one-off sale doesn’t necessarily represent market value as supported by the market. You know the problem all collectors face on a daily basis- Different dealers, and sellers, value knives differently, which poses a challenge when trying to stay abreast of where values are and how much a knife is worth. Yeah, there are “price guides” out there, but I’m not going to say these guides are an actual reflection of where value is, as opposed to attempting to forecast where values are going, otherwise, the guide is out of date the day it is published. And price guides indicate MINT condition value. Depending on how young the knives are you collect that may work just fine, but if you collect 100 year old knives, a MINT condition value is worthless, cause there ain’t none of them out there. On top of that, how do you know what the “discount” off of a MINT antique knife is in order to deduct it for the different conditions, ie., Near Mint, Excellent, Very Good, Good, etc. I know folks have opinions on the various price levels based on condition, but I want to test how actual buyers value them. Two weeks ago, I noticed a particular knife on eBay. Right at the same time I had a chance to buy the identical knife, except the one I bought was in VERY GOOD condition and the one on eBay was in EXCELLENT condition. Other than that the knives were identical. Same pattern. Same brand. Same era. Same stamps. Same age. Same desirable handle material with the same jigging. So, I bought the one I was offered to put it on eBay while the better condition one was still up for auction. These two sales are an experiment to see a current snap-shot of their values- as determined by actual buyers and how they judge the condition value (or discount) between the two. We could use past sales to do a comparative analysis, but are 2, or even 1, year old sale prices still relevant in today’s market conditions? But even still past sales of different knives won’t quantify the price difference by condition grade of two identical knives. That’s also why I wanted both knives sold to see their real-time value established by auction. Typically, I devote an entire post to a single article, but The Tale of Two Knife Sales was simply too long. For this reason, I decided to break this story into parts. In Part II, we’ll examine the two knives and their sale results, as well as why an auction was the best environment for this test. Last week I ran a test- an experiment- to see the effect of a knife’s condition on its price. What made this such a good test was it involved two identical knives, except for their condition. You know the commonly accepted condition grades- Mint, Near Mint, Excellent, Very Good, Good, etc. 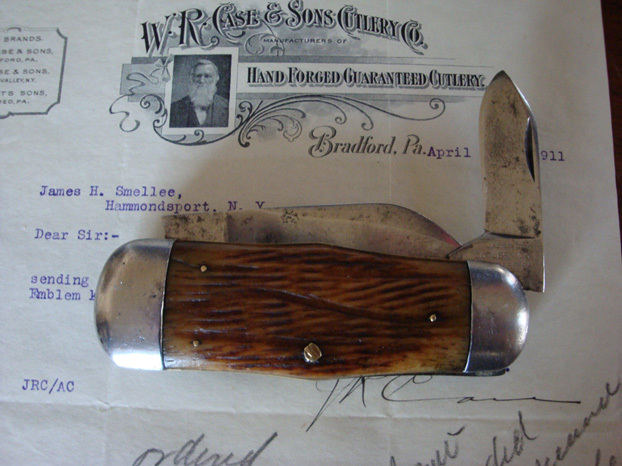 Yes, I know we have resources to “tell us” what values should be, like dealer’s asking prices, price guides and previous results- all to help us know about values and the discounts off of Mint Condition to subtract, but when it comes to old pocket knives, for example, I’ve found prices and values all over the board and very subjective. Because of this, I wanted to run a test and this week I’m going to tell you the tale of the sale of two knives. 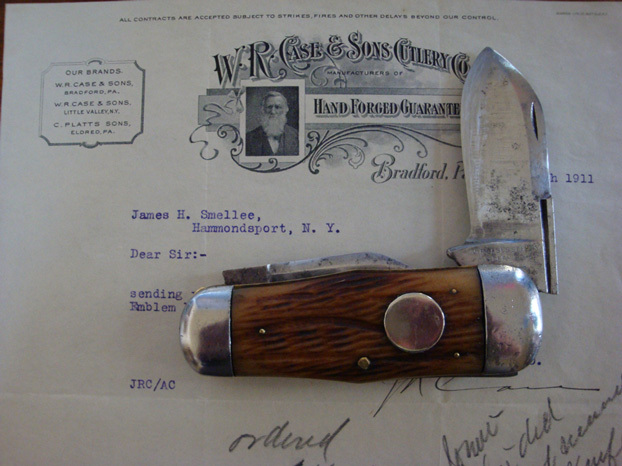 The two knives were both 100 years old and identical in pattern, era made, brand, handle material, method used to sell them and both were sold at the same time. 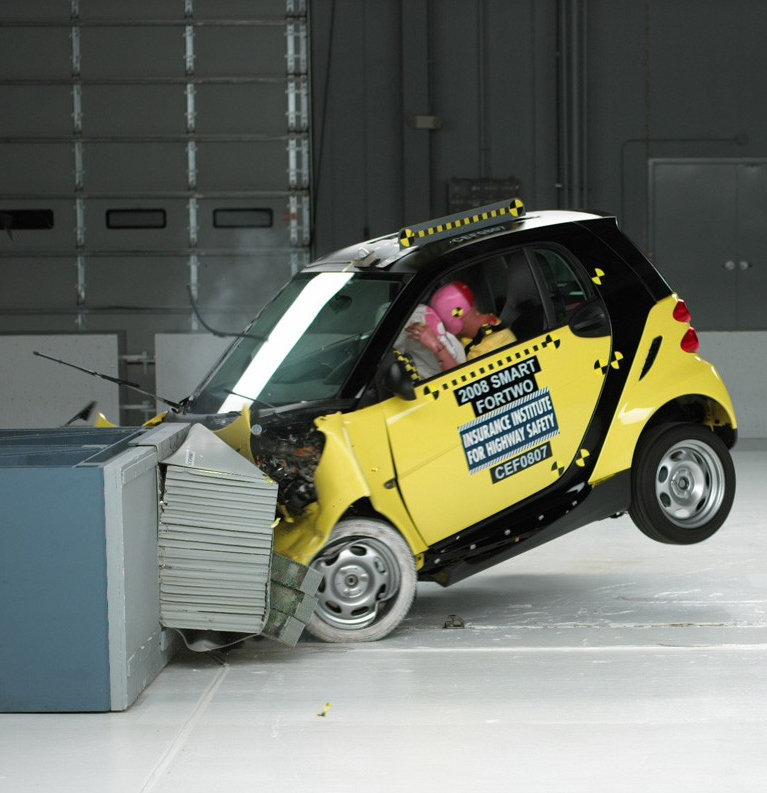 It is rare to be able to have a controlled test with this many common factors. So, if you are like me and wonder if there is any rhyme or reason as to how a knife is valued relative to its condition, then stay tuned.